Stealth News | Stealth Products, LLC. February 06, 2019 - The Essence originally designed by Stealth Products for Canada customers is now available for all markets targeted for individual looking for comfort and proper positioning. October 04, 2018 - The Stealth Ultra Head Positioning System supplies solutions to your most clinically challenging positioning issues. The Essence originally designed by Stealth Products for Canada customers is now available for all markets targeted for individual looking for comfort and proper positioning. The Stealth Ultra Head Positioning System supplies solutions to your most clinically challenging positioning issues. Irvine, California - The i-Drive alternative driving control system by Stealth Products has been named a 2018 Best Pick by Mobility Management magazine. Stealth Products, LLC. is proud to be the exclusive North American distributor for select Ottobock positioning accessories. Introducing Our New UniLink™ Thigh Guides! Stealth Products is pleased to introduce the new UniLink Thigh Guide to the TWB hardware family. Stealth Products has been offering expedited handling of all orders marked for ALS patients since 2015. 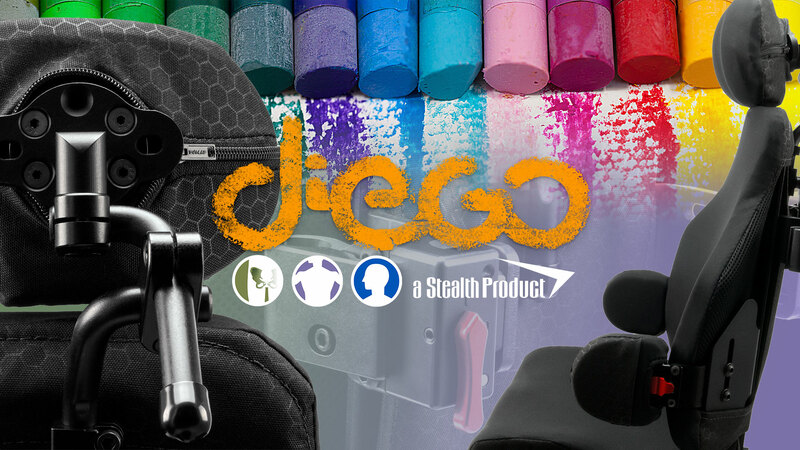 Lorenzo Romero, President of Stealth Products discusses the current state of affairs and future products development. The Walk to Defeat ALS is The ALS Association?s biggest annual event, which raises funds that allow our local chapters to sustain care services and support research. Stealth Products is pleased to announce the addition of Barry Steelman as Director of Marketing. Stealth Products is pleased to announce its acquisition of Accessible Designs, Inc. (ADI), a premier manufacturer of complex rehab mobility components. The 2015 Head Solutions Catalog has been launched! Aaron Weems was an exceptional human being, he served us for over a year and a half as part of our Graphic Design team. His loss has been a devastating tragedy for Stealth. The i-Drive team have added two new social media pages on Facebook. Quantum Rehab, a Pride Mobility Products company, announces today its acquisition of Texas-based Stealth Products, Inc., the leader in complex rehab technology components.